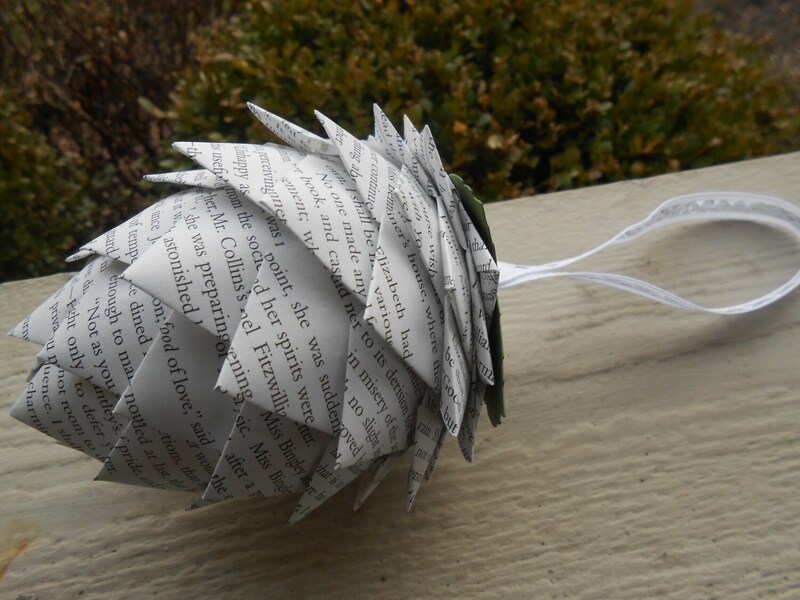 This wonderful paper pinecone ornament measures over 5" long. 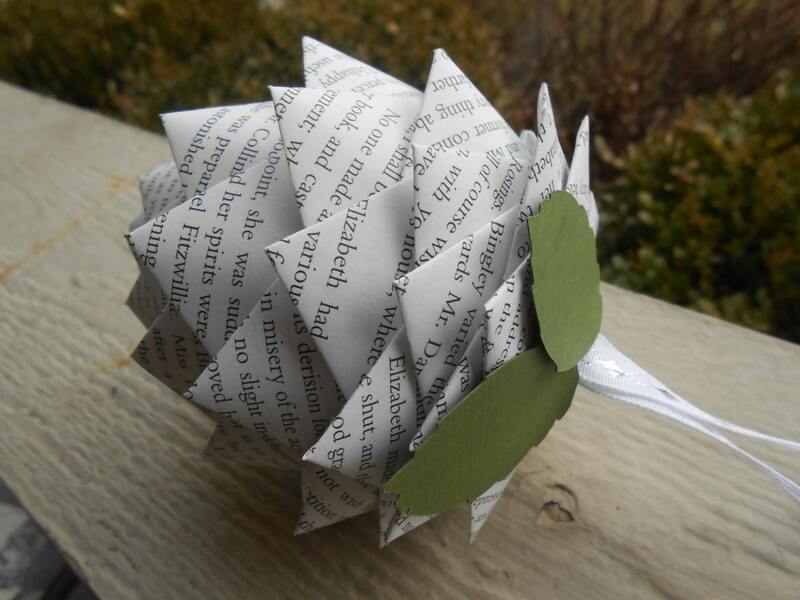 It is made from the classic novel, Pride & Prejudice, by Jane Austen. 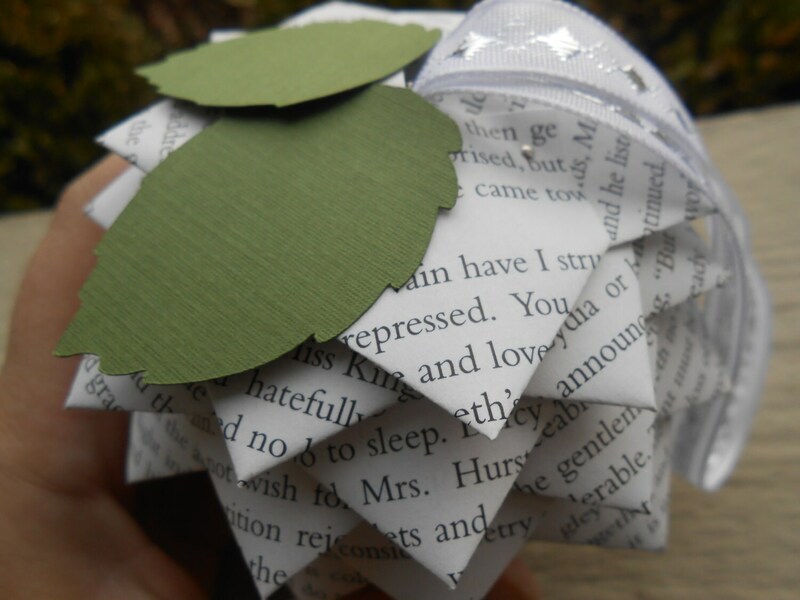 It hangs from a silver and white ribbon, and has some green leaves on the top. 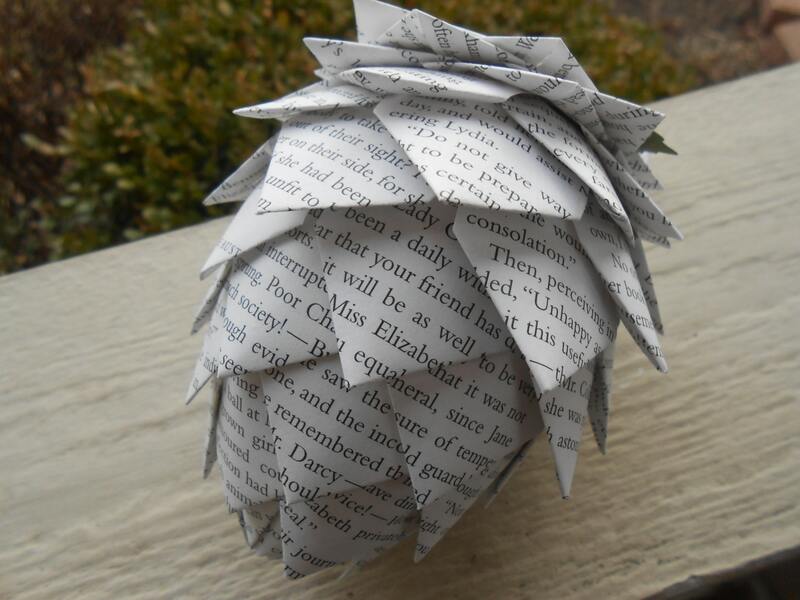 It is very lightweight, as it has a foam egg underneath. So cute! These make wonderful gifts! 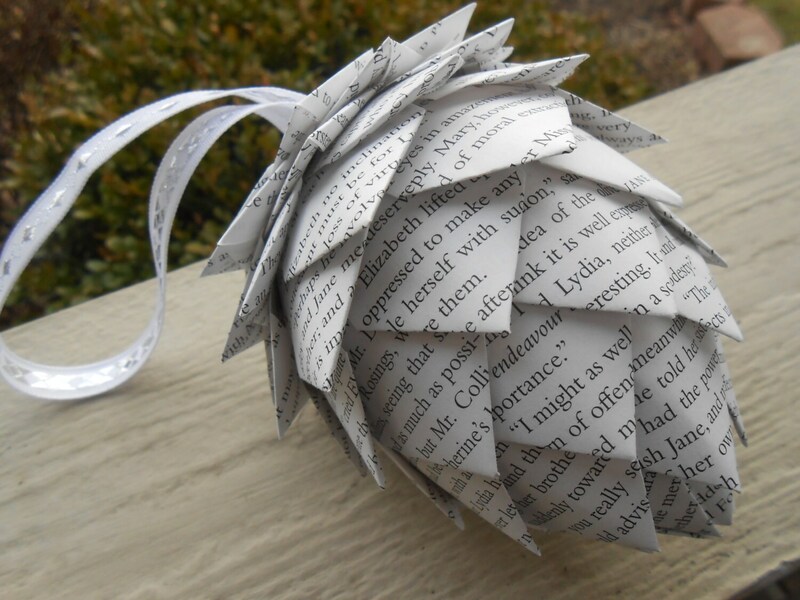 They look great on Christmas trees, but they are big enough that you could just hang them from anywhere in your house and they would look great! They make great wedding decorations, first anniversary presents, birthday presents, etc.